AS9100 is the most widely known quality standard in aerospace and defense industries. It is similar to ISO 9000, but brings a specific approach to subjects like planning for product realization, design and development, production and service provision, among others. Aerospace and defense companies follow AS9100 to ensure they meet customer requirements, and delivers safe and reliable products. The targets of enhance fuel efficiency, and reduce gas emissions, associated to concerns like provide a better passenger experience and maximize population security, is increasing fast the demand for new aerospace and defense products. In a scenario with slim margins and high safety requirements, aerospace and defense companies need strengthen supplier’s relationship, and overcome the challenge of innovate and provide high quality products, in order to secure the business’s environmental and financial viability. SoftExpert offers the most advanced and comprehensive software solution for compliance management, that meets the demanding needs of various global regulations. SoftExpert Excellence Suite helps companies to comply with AS9100, while lowering the costs, maximizing success, increasing productivity and reducing risks. 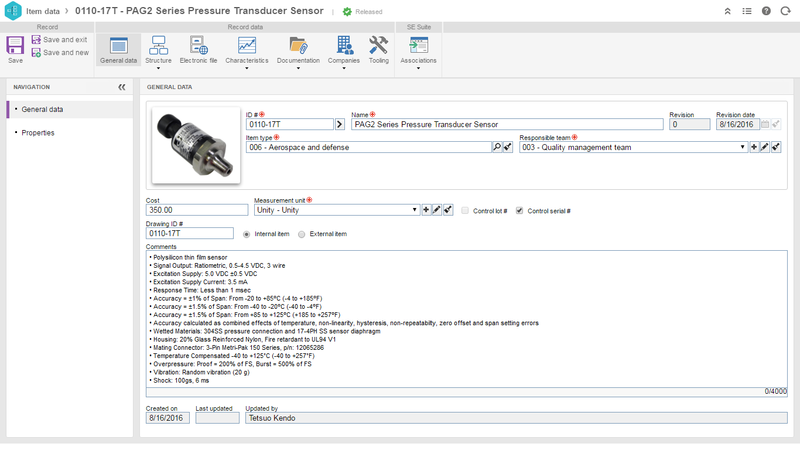 The SoftExpert solution enables organizations to easily meet AS9100 requirements, providing resources to manage documents, processes, risks, audits, projects, non-conformances, KPIs, product realization and others, boosting the QMS efficiency, reducing rework and waste. With online collaboration capabilities, the organization and managers can communicate and be updated about the product development and quality initiatives, involving more users, teams, offices and business units with a systematic and unified approach that ensure the maintaining and effectiveness of the QMS. Standardizes and streamline regulatory and legal compliance management. Reduces efforts to effectively comply with AS9100 and other regulations. Drives the efforts to develop the workforce and improve business process across the enterprise. Ensures the delivery of aerospace and defense products that consistently meets customer requirements. 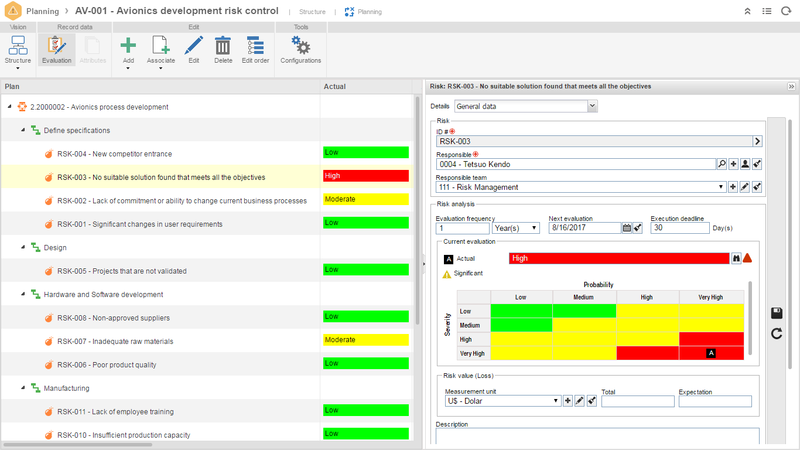 Proactively identify and manage potential risks, saving company’s budget. 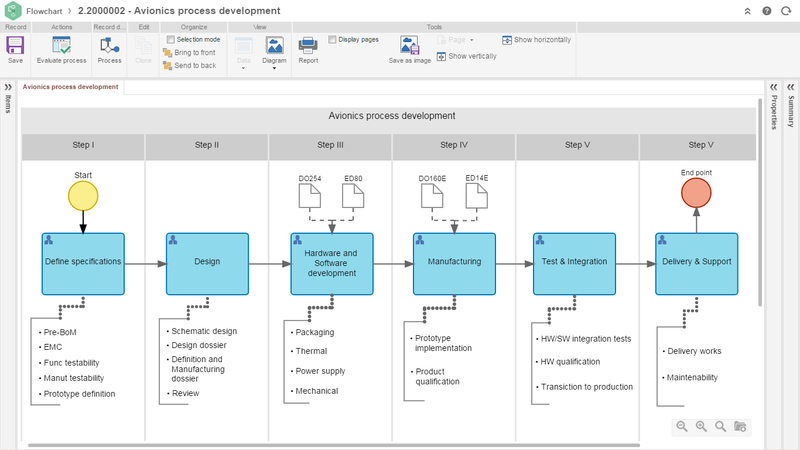 Centralizes and get complete visibility of product development processes and product portfolio. 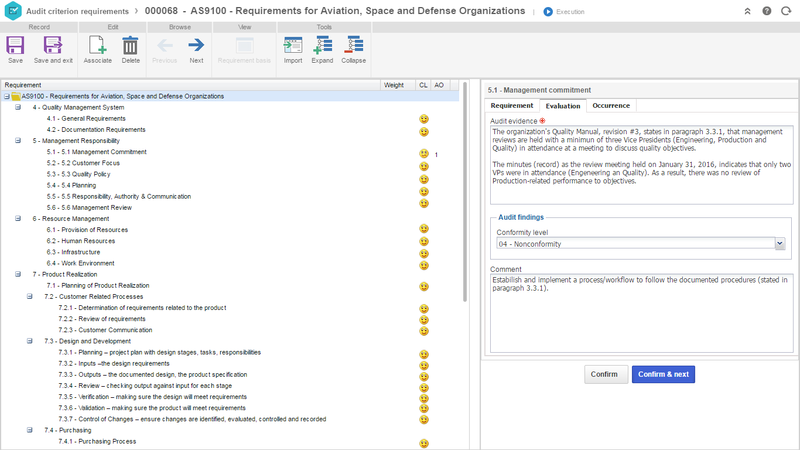 Simplifies the development, review, and approval of new aerospace, defense products and related documents. Accelerates the investigation of quality deviations and customer claims. Runs process and departmental audits and reduce organizational vulnerability. Strengthens business relationship with stakeholders, suppliers and government.